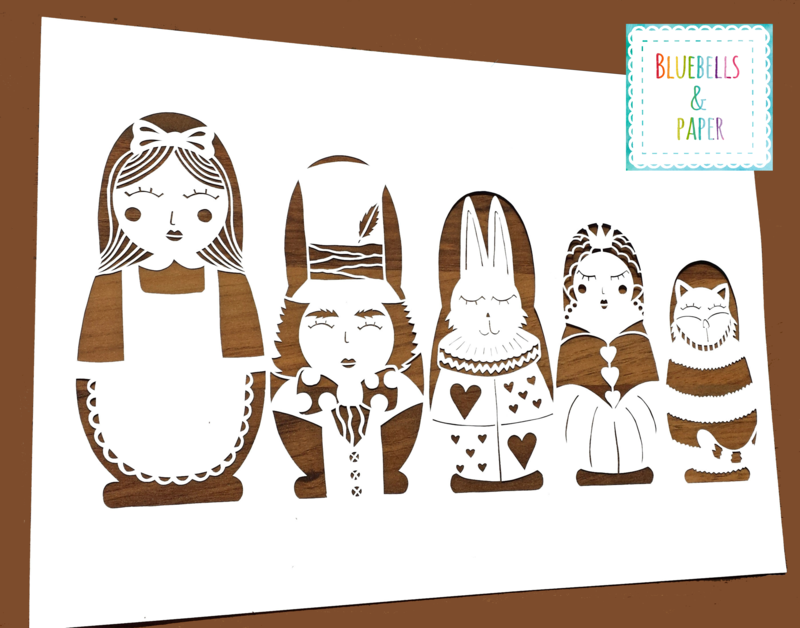 This is a beautiful template inspired by Alice in Wonderland. This is a digital product consisting of a ready to print PDF template which will be automatically emailed to you after purchase. Bluebells and Paper has changed and grown over the years specialising in mini paper cut boxes. I have started creating templates again as the Art of paper cutting is one of the most beautiful art forms I know. It is awesome making templates for others to enjoy cutting. You cannot sell or make any profit from this paper cut without purchasing the commercial licence. The production of other merchandise is also prohibited. You can cut this as many times as you wish and give it as gifts. If you would like to use the paper cut for a charity auction then please get in touch first. The design copyright remains with Bluebells and Paper and credit must always be given when sharing your work on any site, including all social media. The template must not be altered in anyway unless permission is first granted by me. You may not share the template.